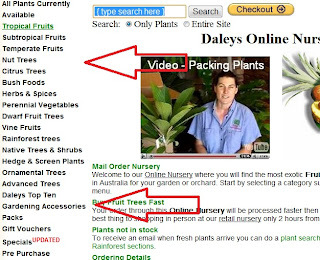 We have just updated our Online Fruit Tree Shop with new categories. We use to have categories like Asian Fruits, South American Fruits but thought it was time to update these new categories more along the lines of their uses rather then which country they originated from. For example we now have Tropical Fruits, Subtropical Fruits and Temperate Fruits. Also rather then Tubestock as a category we now have Rainforest Trees and also some inner categories such as Bird Attracting Trees. We hope you enjoy this new way of finding which fruit trees will suit you. Also you can use our Choosing Fruit Trees program to narrow down your search even more.